Holland America Line has announced a new culinary partnership with the long-running public television show America’s Test Kitchen, said to be the most popular how-to-cook show on TV in the United States. Shipboard shows will debut aboard the Westerdam in October and on all the line’s ships by next June. 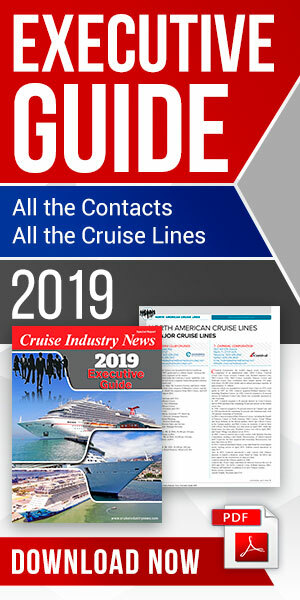 Orlando Ashford, president, said the shows fit with the line’s new tag line “Savor the Journey” and noted the ships are known for their classic style and enriching journeys. He also said that with its “Ode to Foods,” Holland America offers the most immersive culinary experiences at sea. 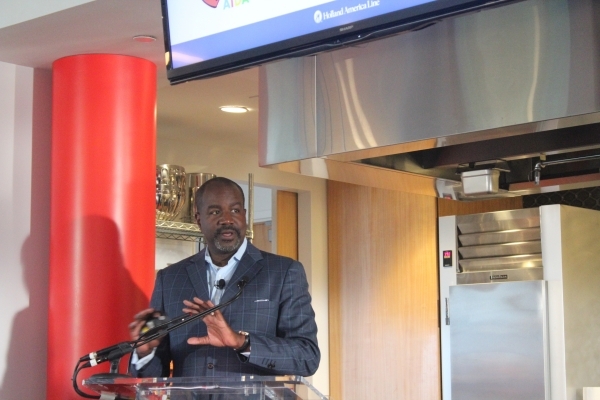 The shipboard Culinary Arts Center will be transformed to replicate the television set where TV shows are recorded for broadcast by more than 350 public television stations nationwide. Designed specifically for the cruise line, the shipboard shows will be hosted by Holland America chefs trained by America’s Test Kitchen culinary experts. Shipboard cooking demonstrations and hands-on workshops — with topics ranging from shaping Asian dumplings to making the perfect pie crust — “will combine foolproof, accessible recipes and cooking techniques that are rooted in the rigorous testing and science-based approach of America’s Test Kitchen.” In addition, Holland America guests will experience 24-hour access to episodes of America’s Test Kitchen and Cook’s Country television programs in their staterooms. “America's Test Kitchen will bring a new take on cooking classes at sea that spans not only recipes but also the science of the cooking process. Its mission is to determine the best methods, ingredients, and cooking tools — and now these discoveries will be shared with our guests,” said an upbeat Orlando Ashford, president of Holland America, who hosted the news presentation in New York and took part in a cooking demonstration of steamed Chinese Dumplings (Shu Mai). “We provide our guests with tremendously immersive and authentic experiences to enrichen their travel, and America’s Test Kitchen’s commitment to delivering a quality culinary experience with a focus on learning, is a perfect match,” he said. America’s Test Kitchen is a fully-equipped, 2,500-square-foot test kitchen located in Brookline, Massachusetts. A team of more than 50 test cooks are said to perform thousands of tests every year. Their goal is to develop the best recipes and cooking techniques, to review and rate the best cookware and equipment, and to taste-test and recommend brand-name supermarket ingredients for the home cook. According to Nussbaum, recipes are tested 30, 40 and sometimes as many as 70 times to arrive at the combination of ingredients, technique, temperature, cooking time and equipment that yields the best, most foolproof recipe. 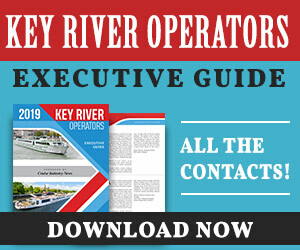 Recipes and reviews are published in magazines, a growing line of cookbooks and special interest magazines, and on the show’s website and through an instructional online school. They also are featured on two public television series: America’s Test Kitchen and Cook’s Country. America's Test Kitchen joins Holland America’s elite list of food and beverage collaborators who are the leading authorities in their fields. The line’s Culinary Council is led by Holland America Line’s Master Chef Rudi Sodamin, who is joined by international chefs Jonnie Boer, David Burke, Elizabeth Falkner and Jacques Torres. The line also has exclusive partnerships with Sushi Chef Andy Matsuda and Master Mixologist Dale “King Cocktail” DeGroff. 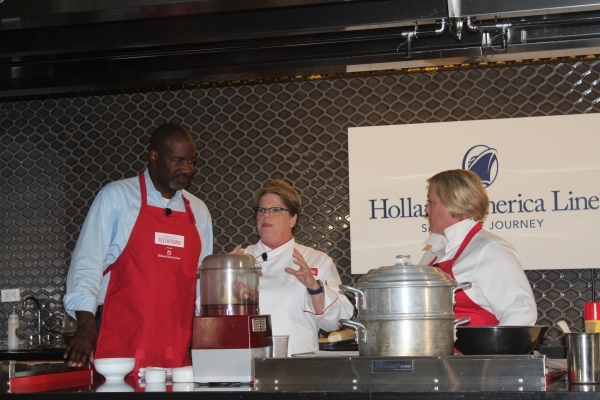 Holland America is a sponsor of America’s Test Kitchen on public television and the onboard initiative was facilitated by HAP Consulting, a boutique brand licensing and marketing firm based in New York City.